A few weeks ago, comedian Paul Reiser wrote a riveting “tribute” piece in the Huffington Post about the death of his idol David Brenner. It’s a lengthy article and worth the read if you were a David Brenner fan. The article. 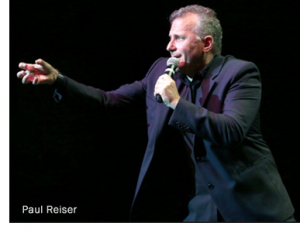 Anyway, there was one short excerpt that I wanted to share with you, where Reiser describes one of the best stand-up shows he ever did. It reminded me that most often our focus is on assessing, correcting, and critiquing our work. And while that’s all good, lets not forget to acknowledge the successes, wins, and especially those times when we “killed it!” Whether it was on stage, in the studio, at the office, or at the investors meeting.